Very excited to announce that the ScotFamTree forum will be holding its annual AGM in the A. K. Bell Library in Perth on Saturday July 30th 2011 - excited because this has always been my favourite library and archive in Scotland! I've been to a couple of the AGMs now, and can honestly say they are one of the highlights of the Scottish calendar, with brilliant talks from members and completely appropriate reverance and irreverance provided when duly required! It's the 5th AGM for Scotland's top family history discussion forum - if you have yet to experience the fun, as well as to meet some of the most passionate family historians around the world, visit http://scotfamtree.11.forumer.com/ - there's the forum, a dedicated ScotFamTree TV channel and err... PacMan! Don't say they aren't good to you. There are two basic tiers of membership, a basic free layer where you can get to know everyone, and a subscription based layer where you can access a host of resources. I've always been cautious about calling it a forum actually, because it's a bit more than that really, more of an online based family history society with well over 3000 registered members, and energy in bucket loads...! NB: Entry by ticket only! The popular ScotsFind website at www.scotsfind.org, which hosts many records from Edinburgh and Midlothian, as well as other areas of the country, appears to be down. Not sure if this is permanent. The cost of an individual magazine online is £4.16, and an annual subscription is £36.66, which compares favourably with the print edition at £54.08 annually. 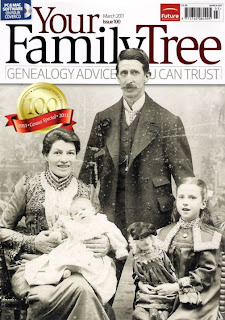 For overseas readers, Your Family Tree is known as Your Family History (not to be confused with another recently started UK magazine called Your Family History). But the big news is that Your Family Tree has now become a centenarian, with the 100th issue about to go on sale shortly. I have an advance copy, with all sorts of goodies including a preview of the new PRONI building in Belfast, news on GRO price rises in Ulster and Scotland, and The Paradox of Scotland website. Ur slàinte mhath YFT - and here's to the next 100 issues! and you shake it all about..."
And once again, Scotland has been omitted. So, errr - back to square one. • Utilities such as census year of birth calculator, and Easter Sunday calculator. Just back from a day's research at the ScotlandsPeople Centre and thought I should pass on a useful tip for others wishing to do research there using FamilySearch. FamilySearch has launched a new version of its website at www.familysearch.org, but at the moment the terminals in the centre cannot properly provide for it, as the current internet browser needs to be updated (I believe the new site requires Internet Explorer 8) - the staff are fully aware of this and there are plans to sort it in the near future. In the meantime however, if you need to access FamilySearch, you'll have a problem. However - you can still gain access to the old version of Family Search. Ordinarily the easiest way to gain access is to simply visit www.familysearch.org and to either click on the link to the old site found on the right side of the page or to scroll to the bottom and click on the link found there. However, because of the current incompatibality of the browser, the new version of the site is not displaying these links. Never fear though - simply type in www.familysearch.org/eng/default.asp to the address bar and you will be taken through to the old version of the website, which works perfectly. I've not used them for over a year now, but I believe there is also still a set of IGI CD-ROM discs in the Dundas Room (open to correction on that though). Ancestry.co.uk has launched online for the first time the New South Wales, Australia, Tickets of Leave, 1824-1867, detailing more than 42,000 parole documents granting freedom to UK convicts transported to Australia during the 19th century. The new collection complements more than 2.3 million criminal and convict records available at the site, which will be FREE to access to the public for ten days to celebrate Australia Day on 26th January – marking the anniversary of the First Fleet, which arrived in Sydney Cove in January 1788 to establish the first Australian colony, New South Wales. The free collections will be of particular interest to the two million (one in 30) living Britons who have Australian convict ancestors. They will now be able to explore an additional 42,000 records of former-criminals who received a ‘ticket of leave’ for their good behaviour. These tickets were granted to convicts who had served a period of parole and had shown by their behaviour they could be given certain freedoms. These included the ability to seek employment, marry, bring family over from Britain and to buy property. Yet some restrictions remained, including not being able to carry firearms or board any ship. Each ticket of leave had to be renewed annually until the convict had served half the sentence when – if they had no further marks on their record – they received a conditional pardon which, with the exception of leaving the colony, removed all other restrictions. Included within the Registers of Tickets of Leave, 1824-1827, are the Ticket of Leave Butts, 1827-1867. These expand on the detail contained in the registers and contain personal information, including the prisoner’s name and number, date of birth, height and complexion, and hair and eye colour. They also record the name of the ship each convict arrived on, the master of the ship, the year of arrival, native place, profession, offence, date and place of trial, sentence, district allocated to, who recommended them for release and date the ticket was issued. The records can help fill in gaps in our historical understanding of what happened to convicts after they arrived in the new colony and are an excellent addition to the criminal and convict collections available on Ancestry.co.uk, including the England and Wales Criminal Registers and the Convict Transportation Registers. Annabel Reeves from Ancestry.co.uk comments: “These records are a fantastic addition to our ever-growing collection of criminal records, which currently detail more than 2.3 million Australian convict stories from arrest to release. “We have made our criminal and convict collections free to access from the 20th to the 30th January to mark Australia Day and give anyone who suspects they may have an Australian cousin or convict ancestor, the chance to find out”. Well it was - now the whole 1881 British census collection has disappeared! I did leave feedback with the site, so really hoping this is a good sign that the team at FamilySearch are separating them out into their proper constituencies - fingers crossed! On a more irritating note, FamilySearch announced that it had uploaded over 4 million Belgian civil BMD records to its site at the end of last year. This was of particular interest to me, as my grandfather and his three siblings were in fact born around Brussels, yet I had been unable to access the images on the site. At first I thought it was my computer at fault, so just parked it (I actually have the Belgian birth certs for my lot, so not a priority). However a client of mine has Belgian connections, so I tried again tonight using my laptop - and the same issue occurred. Thank you for contacting FamilySearch feedback regarding Belgium Civil Registration, 1795-1910 collection. The National Archives of Brussels, Belgium is the record custodian for the Belgium Civil Registration, 1795-1910 collection. They have contracted with FamilySearch to provide images only to Authenticated Members of the Church, with future plans to be able to provide them to LDS Family History Centers and the Family History Library in Salt Lake City as well. We are sorry that this collection is not available to you at this time. So it's a licensing issue - hopefully it will be resolved in due course. On a more positive note - for your emigrant ancestors, some new collections have been announced on the site tonight, including Canada, Ontario Deaths, 1869-1937, and Overseas Deaths, 1939-1947; Canada, Ontario Marriages, 1869-1927; Canada, Quebec Notarial Records, 1800-1900; New Zealand, Immigration Passenger Lists, 1839-1973; U.S., New England Naturalization Index, 1791-1906; and various others. 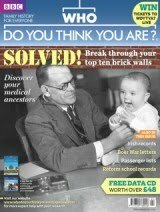 The latest newsletter from Ancestry.co.uk is now available at www.ancestry.co.uk/updatedJan2011ess#5. As well as an update on the 1911 English and Welsh census (joining the site soon in its entirety), and details on Ancestry's events at the forthcoming Who Do You Think You Are? Live show, yours truly joins the Ask the Experts section this month, answering questions alongside top military historian Paul Reed. There's also a useful guide on how to use Ancestry's card catalogue feature to help find records. Google is teaming up with Jerusalem based Holocaust memorial centre Yad Vashem to bring 130,000 digitised records online. Girt big thanks to WDTYTYA mag & to you! A girt big thanks to BBC Who Do You Think You Are magazine (it's based in Bristol, where I used to work, so they'll know what I mean! ), which has over the last two months said some very nice things about this blog! Now I've just picked up this month's edition (Feb 2011, 44) after a tip off it was there again, this time as the Expert's Choice in the Best Websites: Genealogical Blogs article. The site is reviewed by gene genie Alan Stewart (see his own excellent blog at http://growyourownfamilytree.wordpress.com/), who as well as describing it as "one of my favourite blogs" also says "As well as being a good read, Scottish GENES contains information about new websites, news of the latest events in Scottish archives and family history societies, and much about general genealogical goings on in Scotland". Going beetroot again...! A huge thanks. One thing I've not done in a while is to give an equally huge thanks to all those who regularly contact me to share items of news, whether genealogists, vendors, family history societies, or otherwise. When this blog first started three years ago, it was actually designed as a way to force me to keep on top of many rapid developments for my work as a genealogist here in Ayrshire, and has since taken on something of a life of its own! The overall response to it has been absolutely superb, and at the moment it is difficult for me to say how many people actually read it, with almost 700 daily subscribers (RSS feeds and others), 450 followers on the Facebook version, 400 followers on Twitter, and many who just have the site bookmarked, not to mention reposts etc. My background was in the BBC, and I strongly believed in its public service remit. As such, the blog has always been designed to be free to view (and will remain so), and is completely independent with no agenda other than to tell the public of developments happening genealogically which will help with their ancestral pursuits. I recently floated the idea of expanding the blog into a British GENES type news list, and received a number of emails from people imploring me not to - so OK, Scottish focussed it will remain! I have a few ideas on some further developments down the line to try to develop things a bit further, though without tramping on other people's toes or replicating other offerings elsewhere! In particular I would like to carry more news on Scottish developments abroad, so if you're in an overseas society, do let me know what's happening, more than happy to give it a plug! I'm also keen on more guest posts (one person I know has ended up having a book commissioned on the back of one last year! ), and there'll hopefully be more audio visual content - I'm taking my camera to WDYTYA Live next month, where I hope to ambush some more people if I can get a chance. If you're a reader, do say hello - I'll be at the Family and Local History Handbook stall (number 811) and happy to answer any Scottish queries you might have, if I can! :) Incidentally, this month's WDYTYA magazine has a free show guide to help you locate everyone at the event. UPDATE: Thanks to Audrey Collins for her kind comments on her The Family Recorder blog, and to John Reid at Anglo-Celtic Connections for his comments also - John's blog was voted in the magazine as best overall for British research. On Saturday January 29th the Scotsman newspaper will be giving away a free copy of 'Kay’s Plan of Edinburgh', a detailed 1836 map of the capital, with each edition. The map is supplied by the National Library of Scotland, though will only be available in editions of the paper in Edinburgh, Fife and the Borders. We’re on the lookout for anyone who wants to tell their family history story on TV. Have you researched your family tree using findmypast.co.uk? Did you make any interesting discoveries along the way? If so, and you’d be happy to tell your story on TV, we want to hear from you. Your story would feature on a community TV family history programme and you’d need to be available to come to London for filming on one day between 7 and 18 February. Travel expenses within the UK will be reimbursed. If you’re interested, please tell us about your family history stories in 500 words or fewer. Email your story to casestudies@findmypast.co.uk with ‘Family history research’ in the subject line and we’ll get in touch with anyone whose story is suitable. Please remember to include a daytime telephone number in your email. A cause true to my heart is the preservation of the lovely little feral critters known as 'haggi' or 'haggises'. Tonight they are truly under threat, and I now have evidence to show the callous way they are being treated here in Ayrshire. Ancestry.com has just sent me an email saying its Expert Connect service, launched in March 2009, will be discontinued as the company "has decided to focus on other business priorities". "As of March 18, 2011, Expert Connect will no longer be a service that Ancestry.com will offer to its members. New project postings, bidding and awards will be discontinued February 3, 2011." If you are currently working with a genealogist through the site, you can continue to do so until the service stops, but I'd advise that you wait a week or two longer before settling the bill. Not only will you help the friendly genealogist save having to pay commission, if the cost is passed on to you, then clearly you'll be helping yourself also! The instruction to the participating genealogists is: "As some of your research projects may take longer to complete than March 18, 2011, please use the Message Board to exchange direct contact information with your clients. Make arrangements to do your remaining projects off of Expert Connect, directly with your clients. 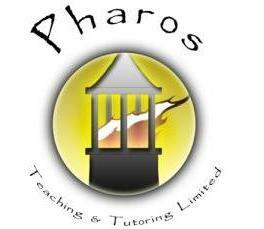 You will, of course, also need to arrange an agreeable payment method directly with your clients. Then, use the 'Modify Terms' tab to cancel your project on the Expert Connect system." UPDATE: It's been pointed out to me that the timing of the service's end is the day before the start of the new American version of our WDYTYA series. Ancestry did purchase a genealogical services agency site at the end of last year called ProGenealogists, and there has been no announcement of it being wound up. Has Expert Connect been wound up so that Ancestry can concentrate on ProGenealogists? The ProGenealogists site at www.progenealogists.com/ancestry_research.htm now has the Ancestry branding - but be warned, its costs appear to be significantly higher than those offered by genealogists on Ancestry's Expert Connect (see the site's Order Now page for examples). There are several professional agencies which cover Britain for research, including the APG (of which I am a member) and AGRA, and some non-affiliated but very experienced researchers. My advice is to shop around before you commission research - see what you will likely get for your money, and as importantly, how much control you can have over the process during the period you contract someone to do research for you. For example, do you wish to pay a huge lump sum in advance in an act of genealogical faith, hoping you will get what your £400 etc suggests you might get, or perhaps contract for a certain number of hours on an hourly rate with a predetermined estimate of the likely deliverables supplied for that? If somone advertises as doing three lines of research for £300, what exactly does that mean - three fully fleshed out generations, siblings, childen, etc, or just the direct ancestors? Worth thinking about! The National Archives of Scotland has uploaded details of minister Fiona Hyslop's evidence contribution to the Public Records (Scotland Bill) at http://www.nas.gov.uk/recordKeeping/publicRecordsBillNews.asp. The bill is designed to create an act to address key recommendations from the Historical Abuse Systemic Review (Shaw Report) of 2007, and to make it easier for vulnerable people to trace their records. A full background to the bill's passage is available on the site. Ancestry (www.ancestry.co.uk) has announced that it is providing free access to its England & Wales, Criminal Registers, 1791-1892 database until the end of the month. The British Listed Buildings Online website at www.britishlistedbuildings.co.uk includes entries for Scotland, providing a searchable database of all listed buildings in the country. Each entry has quite a detailed history recorded for the property and an extensive physical description - a very useful site. The editor of Tommy's Peace: A Family Diary 1919-33 will be at Govanhill Library (Langside Road at Calder Street, Glasgow) on January 27th from 2.30pm-5.30pm to discuss the subject of the book, Thomas Cairns Livingstone, and the diaries he kept from 1913 to 1933. The book is a sequel to "Tommy's War", which I have yet to read, but "Tommy's Peace" has really hit a chord with me, for several reasons. The first is that it covers almost exactly the same period of life in Glasgow which my own grandfather experienced, he having lived in the city from 1919 to 1936. It therefore provides a contemporary daily commentary on life in the same city where he lived, and therefore a real flavour of the kind of lifestyle which he himself may have enjoyed and endured. The book is also of interest to me personally as the author spent his annual holidays in Largs, where I presently live, and it is extraordinary to see what has changed here and what has not. Although from Govanhill, Livingstone was in fact from Northern Irish stock, and so his diaries also provide a contemporary commentary on events on the other side of the water during the Anglo-Irish War and Partition, which from what I can gather from his description was equally as terrifying as the recent Troubles. As an enthusiastic stamp collector, he was also a man in touch with the world, and it is also fascinating to read his daily commentary on such extraordinary situations as the rapid hyperinflation in Germany which saw the pound become equal to billions of German marks virtually overnight. But if there is one aspect of the book that makes it completely impossible to put down for me, it is not just Livingstone's words, but his cartoons and sketches, which are hilarious in parts, and every much a part of the commentary of the time. The book is also competently edited, and accompanied with useful and at times essential footnotes, readily available on each page. I'm unfortunately not able to go to the event, but if you can, this will be an enjoyable take on life in early 20th century Glasgow; and if you haven't yet read the book, Amazon is but a click away at http://www.amazon.co.uk/Tommys-Peace-Family-Diary-1919%C2%9633/dp/1845966538/ref=sr_1_1?ie=UTF8&qid=1295743084&sr=8-1 ! The RCPI archive is one of the most important resources for the history of medicine and medical education in Ireland, but the collections have been underused in the past because of the lack of a detailed catalogue. The new online catalogue aims to remedy this by allowing users to search the catalogue by key words, terms, dates or names, with descriptions from whole collection to individual item level. At the moment the catalogue contains records of four of the archival collections – the Kathleen Lynn’s Diaries, the Saint Ultan’s Hospital Papers, the Sir Patrick Dun’s Hospital Papers and the papers of Sir Dominic Corrigan (a leading mid-nineteenth century physicians and president of the College). Over the next twelve months the archive intends to release catalogues for the majority of the archives holdings. To coincide with the launch of the Strategy for Business Archives in Scotland on 20th January 2011, the Business Archives Council Scotland announce the start of a project to find the records of Scotland’s hundred oldest surviving limited companies. The limited company has allowed Scottish businesses and community groups to flourish and grow beyond the lives of their founders, and become important entities in Scottish life in their own right. The companies formed under the 1856 Joint Stock Companies Act were independent and influential actors in Scottish history, and their archives are a valuable resource for historic research. The records can also be utilised by the companies that hold them to add prestige and depth to brand names and as a source of product innovation. Currently 20% of FTSE 100 companies employ archivists to enable them to best exploit their records and archives. The central aim of the project is to identify the record holdings of the oldest companies still registered at Companies House in Edinburgh, and produce an online guide detailing the company’s history and its surviving records. These companies range from large multinational firms and makers of famous brands to small production companies and community groups, and represent Scotland’s proud and diverse business tradition. Some collections are already in archives, but many of the companies (whether active or inactive) appear to have no store for their historical records. So here's a bit of a development and a half...! The addition of the census records, if it is to be on the same subscription basis as the English and Welsh records, will be a seriously useful development for those in Scotland who have been unsure about whether the site is worth the subscription fee, with the site at present mainly covering English and Welsh records. At present, Scottish census records exist only in their entirety from 1841-1901 on two sites - ScotlandsPeople and Ancestry. The former site has the original images available, whereas Ancestry has a transcribed database but no images. The ScotlandsPeople site is in fact hosted by Brightsolid, FindmyPast's parent company, so it looks very likely that the images may appear on FindmyPast also. If so, and if included on the same subscription basis as the English records, this could turn out to provide seriously good value, particlarly considering the excellent job already done by the site on the military collections and the forthcoming additions of a significant amount of the British Library's newspapers. More news when it comes...! The Fort George based Highlanders' Museum (www.thehighlandersmuseum.com) has been granted a further £200,000 grant, on top of £924,000 given by Europe a few weeks ago, for redevelopment. There's quite a debate raging right now about how great the new version of the FamilySearch website may or may not be at www.familysearch.org - so here's a find that may help you to love the new site a bit more than you may at present do. Having said that, it may also slightly irritate...! I typed her name into the main search screen, and Inverness as her birth place, then narrowed down the results using the filters at the bottom left of the results screen, choosing England and Wales census 1881. It was the 4th result then returned. Over the weekend of January 29th and 30th, the number of terminals providing access to the old fashioned DIGROS computer system in the Dundas Room of the ScotlandsPeople Centre is again being reduced, to just 15, less than a third of the terminals available in the room. The availability of the more flexible ScotlandsPeople computer system, which in addition to providing access to more GROS records also allows for internet access, will be increased to 31 terminals. The Dundas Room remains the only room at the centre to continue offering access to DIGROS. A huge thanks to Michael Avery in Cologne, Germany, for steering me towards the Glasgow West-end Addresses and their Occupants 1844-1915 website at www.glasgowwestaddress.co.uk. It's not a site I have come across before, but it holds lots of current photos of the streets and details of all those at each address in the city's West End district. A useful source in addition to the census and directory records available online, and free to access! The Business Archives Scotland blog at http://businessarchivesscotland.blogspot.com has been reviewing the developments in the Scottish business records archive world for the year 2010. Included is news on the University of Glasgow's involvement in Black History Month, the new Diageo Archive (including records as far back as 1608 for Bushmills Irish Whiskey in County Antrim), Pringle's Day of record, and much more. The review takes place over a series of posts on a month by month basis, so plenty to read about! The Strategic Plan outlines the approach Europeana will take in the changing information landscape. In the next few years, one specific focus for Europeana will be on enhancing the users’ experience. It will give users access to cultural heritage content wherever they are and whenever they want it, making it available through APIs and search widgets, in teaching resources, on blogs, college sites and social networks. Europeana will also explore new ways of actively engaging users in the development of the site and making creative reuse of its content. Download the full colour version or the black and white print version of the Strategic Plan 2011-2015. NB: British partners in Europeana include the Scottish Cultural Resources Network (SCRAN), Herriott Watt University, the National Maritime Museum, the Collections Trust, the British Library, the Great War Archives and many other bodies. From Ireland it includes Inniúlacht / Cartlainne Meán, the Irish Manuscripts Commission, the Irish Virtual Research Library and Archive Project (IVRLA) and University College Cork. One of Scotland’s first lighthouses, Kinnaird Head’s fascinating story is to be re-told. The lighthouse, which is owned by Historic Scotland, but run by the Museum of Scottish Lighthouses, will see its existing interpretation overhauled and new visitor information panels situated throughout the site which will explain its rich history, from a castle into a lighthouse, the only conversion of its kind in Scotland. The new panels, which will replace the existing public information, will look at areas such as the workings of the old lighthouse including the engine room and foghorn, life as a lighthouse keeper, and the modern lighthouse, which remains exactly as it was when it was decommissioned in 1991. The panels will also explain some of the folklore associated with the site, including the famous tale of the piper who drowned in The Wine Tower after being imprisoned by a lord who was angry at him for falling in love with his daughter. Legend has it that the piper can still be heard playing his pipes while he searches for his lost love. The panels will be placed at key areas around the site and footpath to share its story with visitors, supporting the existing lighthouse tour, which offers daily guided commentary of the site. “We hope that the new interpretation will help bring to life the fascinating history of the site. The north-east of Scotland has a strong maritime tradition and Kinnaird Head is an important part of the region’s heritage. The new panels will be on site from this Spring. For further information about the new interpretation panels please contact the Museum on 01346 511022. Maxwell Ancestry has made available Dispensary Patient Records from Kelso from 1778-79 at www.maxwellancestry.com/ancestry/resources/kelsodisp1.pdf. The document provides details for over 300 patients, with information such as name, parish, recommender, date of admission, age, disease, and eventual outcome of their case. The document is a sample from a much fuller book which the company is currently producing, which will be made available through its shop in due course. For more information, visit the company blog at http://scottishgenealogyblog.blogspot.com/2011/01/kelso-dispensary-year-one-pdf.html. A useful parish map for Dumfriesshire can be found online at www.pbase.com/image/131514919. Buckie and District Fishing Heritage has produced a new book by David L. Fowler entitled A Closer Look at Tee Names and Trade Advertisements from Portgordon to Cullen. The book can be purchased at http://buckieheritage.org/shop/index.php?main_page=product_info&products_id=45, and is priced at £12 (though be aware that UK, EU and worldwide postage and packing is an additional £5). On the first leg of my talks trip to Australia last October, whilst heading to Dubai, I had the surprise pleasure of finding myself seated beside Jenni Minto, a former colleague at BBC Scotland when I worked on the Eorpa series, and now an awfully big cheese in the building! As well as catching up on old times Jenni also told me about some of the projects currently in production, including one being filmed by Caledonia TV in Sydney during my visit, directed by Led Wilson. The subject was one of Scotland's most famous sons, Lachlan MacQuarie, one of the first colonial governors in Australia. Jenni has kindly just been in touch to tell me that the programme is provisionally scheduled to be transmitted on Wednesday January 26th, I believe on BBC2. For more information on the programme, entitled The Father of Australia, and for an exclusive video preview, visit Caledonia TV's website at www.caledonia.tv/productions/full-catalogue/video.aspx?id=1492. The programme is narrated by David Tennant, and stars Clive Russell as Lachlan Macquarie and Julie Wilson Nimmo as Elizabeth Macquarie. The producers are Seona Robertson & Stuart Scowcroft. The Circle of Gentlemen, a secret society of Jacobite supporters who regularly met from 1748, just two years following the utter catastrophe of Culloden and its less than glorious aftermath, until the late 18th century, and which was re-opened in the 1990s by Jacobite enthusiasts, has now decided anyone can join if they pay £50 annual membership, which the site states will reduce to £30 annually thereafter ("subject to change"). 10% of funds raised will go to rescuing artefacts from the Jacobite campaign era for the nation, a recent example being a tartan cloth which once hung as a curtain in Culloden House, near Inverness, when Bonnie Prince Charlie had requisitioned the property during the campaign. The BBC has the story at www.bbc.co.uk/news/uk-scotland-highlands-islands-12170367, whilst the society's website can be found at http://circleofgentlemen.info. The society also has a shop on its website where you can buy lots of Sir Walter Scottish accessories, and as a member there is access to a private forum on the site and other resources. The site also states on its membership page that "Perhaps we may once again march on Derby!". I suspect the good folk of Derby will be able to continue to sleep safely in their sleep...! Maxwell Ancestry has added a new Scottish Borders Prison Database Search, which will allow you to purchase individual records of those who were imprisoned. The free basic search screen returns name, occupation and residence; age; birthplace; prison and year, and you can then purchase additional info. Details of the type of information returned in a full record can be found on Emma Maxwell's blog post at http://scottishgenealogyblog.blogspot.com/2011/01/whats-new-at-maxwell-ancestry.html. Each record costs £5 - use the search screen and add to the cart any record you wish more detail on, then settle up! The next Scotland 1750 - 1850: Beyond the OPRs course, taught by yours truly through Pharos Teaching and Tutoring Ltd, starts on January 17th - but there is still time to sign up! I don't normally carry celeb stuff, but the science fiction kid here has just come across the following! A booklet examining the ancestry of William Hartnell, the first actor to play Doctor Who, as well as a sergeant in the Carry On film series, has just been released. The 31 page booklet, WHO Do You Think You Are? - A Genealogical Enquiry Into the Ancestry of William Hartnell, TV's First Doctor Who digs into the most cobwebbed of corners illuminating Hartnell's earliest years and those of his ancestors, going right back to the 1500s. There's a few surprises and a couple of scandals throughout the journey! Watch out for that Police Box on Glasgow's Buchanan Street! The report of the Comité des Sages (high-level reflection group) on Digitisation of Europe's cultural heritage was delivered today to Neelie Kroes, European Commission Vice-President for the Digital Agenda, and Androulla Vassiliou, Commissioner responsible for Education and Culture. Among its top recommendations are that Europeana should become the central reference point for Europe's online cultural heritage. Member States must ensure that all material digitised with public funding is available on the site, and bring all their public domain masterpieces into Europeana by 2016. Cultural institutions, the European Commission and Member States should actively and widely promote Europeana. The report urges EU Member States to step up their efforts to put online the collections held in all their libraries, archives and museums. It stresses the benefits of making Europe's culture and knowledge more easily accessible. It also points to the potential economic benefits of digitisation, including through public-private partnerships, for the development of innovative services in sectors like tourism, research and education. The report endorses the Digital Agenda's objective of strengthening Europe's digital library Europeana and suggests solutions for making works covered by copyright available online. The Comité des Sages on Digitisation comprises Maurice Lévy, Elisabeth Niggemann and Jacques de Decker (see IP/10/456). The report's recommendations will feed into the Commission's broader strategy, under the Digital Agenda for Europe, to help cultural institutions make the transition towards the digital age. New Scottish GENES carrier pigeon service!